There we go! 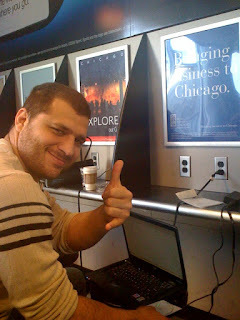 !We're now at Chicago O'Hare airport waiting for the flight to SFO! Here we have Rodrigo installing his web cam! !